2 or 3 Days, Immersed In Nature, Paddle Adventure. Disconnect completely from the busy rush of the city and immerse yourself in adventure for a full two or three day and overnight stay. 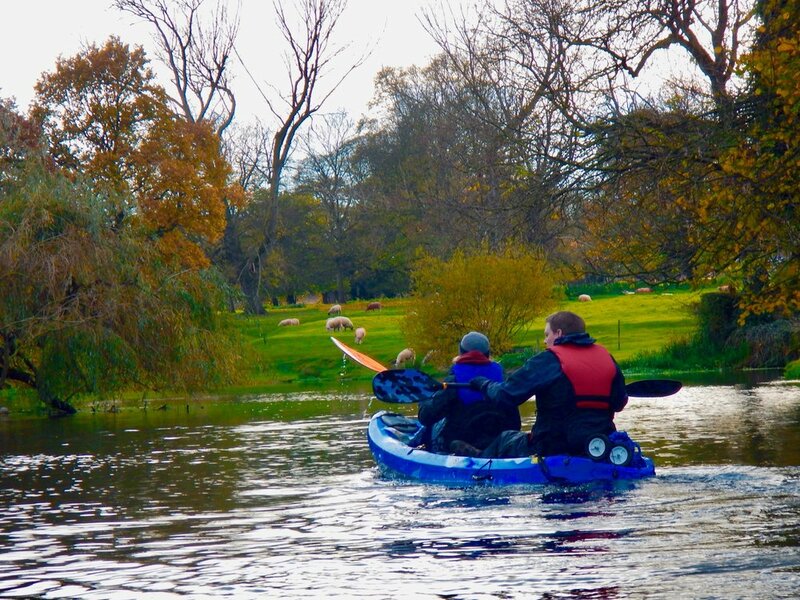 Kayak along our picturesque river route checking out all the wildlife, shooting down some weirs and getting your fix of fun, stop off at a riverside pub for an ice cold drink, before paddling to our secret campsite in the woods for an evening of delicious BBQ food and campfire conversations! Grab your pals and bring them along, this trip is the perfect way to escape the everyday and bring back the fun and adventure to your life! Take your adventure in your own group or with one of our experienced tour guide. After meeting up and going through introductions, we'll spend the day kayaking along the river, stopping off for well-deserved ice cold drinks at riverside pubs along the way, enjoying rest stops in the hidden countryside before arriving at our secret magic campsite in the woods for BBQ grub and great conversations around the campfire. Located in a beautiful spot along the River Soar, camp will be all set up and ready for relaxing! Prepare for an evening of delicious food, campfire catch ups and chilling out under stars. Depending if you choose a two or three day trip, day 2 has many options. You can hike Leicestershires northern routes or kayak a circular route back to the campsite exploring even more of Leicestershires rivers. In the morning we'll rustle up some delicious breakfast, fuelling you for a day of kayaking or hiking and exploring even more of Leicestershire's amazing countryside. We'll stop off for snacks before finishing in North Leicestershire at a lovely riverside pub The Plough Inn (Normanton-On-Soar) where you can eat, drink & celebrate the weekend's adventure. Catch up with family & friends completely distraction free and make memories that aren't captured on your phone! Kayak, buoyancy aid, helmet, paddle, camping pitch, tent. One way journey - Start at one location finish at another. Can i pay a 20% deposit? Yes, if booked at least 2 weeks prior to the trip date. What type of kayaks do we use? Double sit in, double sit on tops, If you would prefer single kayaks please ask.